Compliment your modern décor with the contemporary design of this marvelous, handcrafted bed. 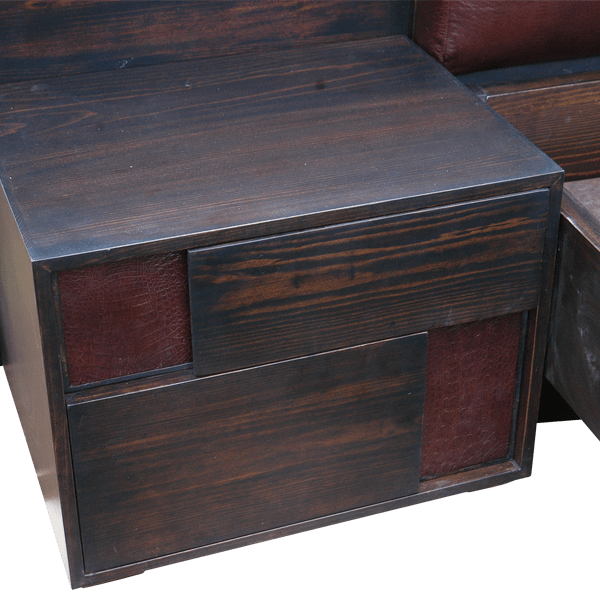 The bed features two, staggered, rectangular headboards, and the back headboard is built with solid wood, and finished with an opulent, black stain. Positioned in front and to the right of the back headboard is a slightly narrower, rectangular, front headboard. 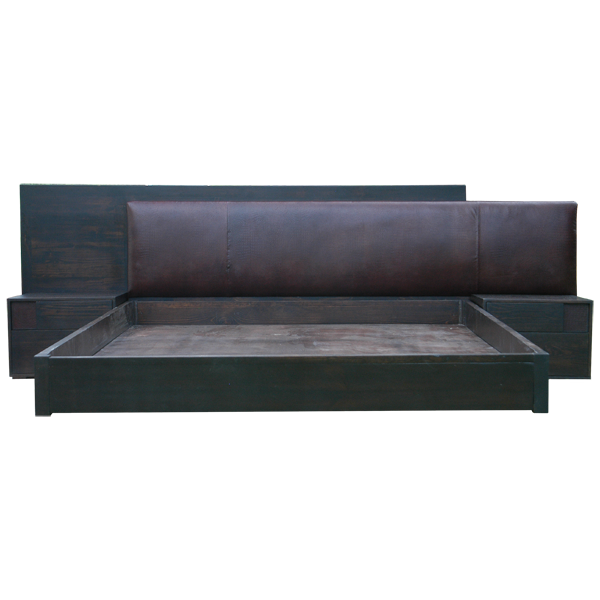 The front headboard is padded, and it is upholstered with dark, brown, full grain leather. The junctions of the leather are double stitched together for extra strength and durability. On each side of the headboards are two, attached, solid wood, end tables, each with two, horizontal drawers. The drawers have a contemporary, juxtaposed design. 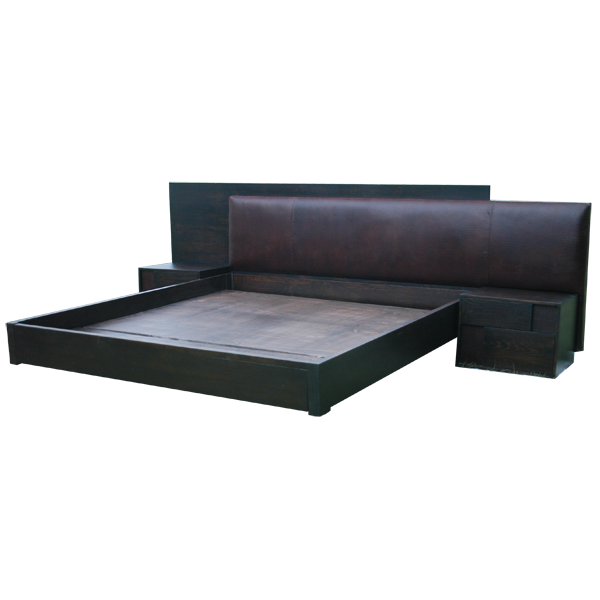 The bed has a solid wood, structural base, with a matching, black finish, and it rest in on small, rectangular feet. It is made with the best, sustainable, solid wood available, and it is 100% customizable.